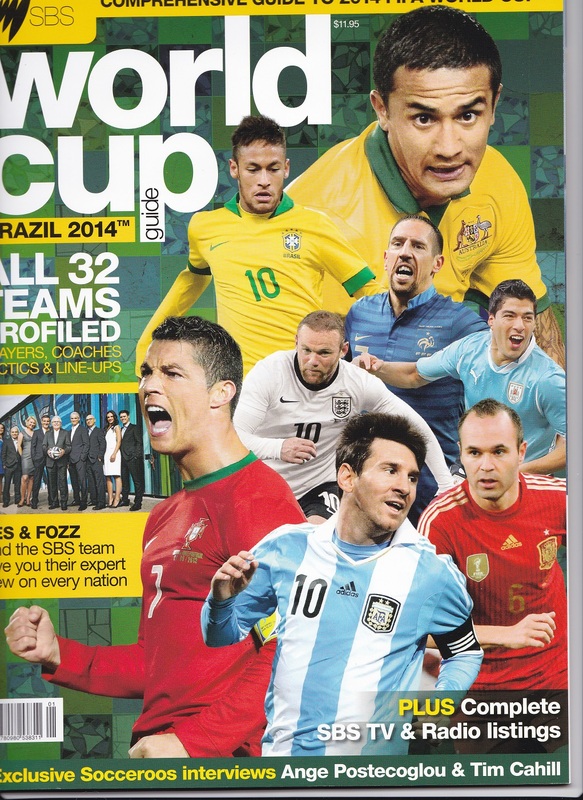 The 2014 World Cup Soccer Quarter Finals are on soon, and who knows who will win? I love the soccer and have been watching all of the Matches as recorded. They are playing in the early hours of Australia. I have been really impressed by some of the Goal-keepers, like the Nigerian goal-keeper, and of course with Lionel Messi of Argentina. His crosses and goals have been fabulous, and he can’t win the matches by himself, but must feel alot of pressure upon him. 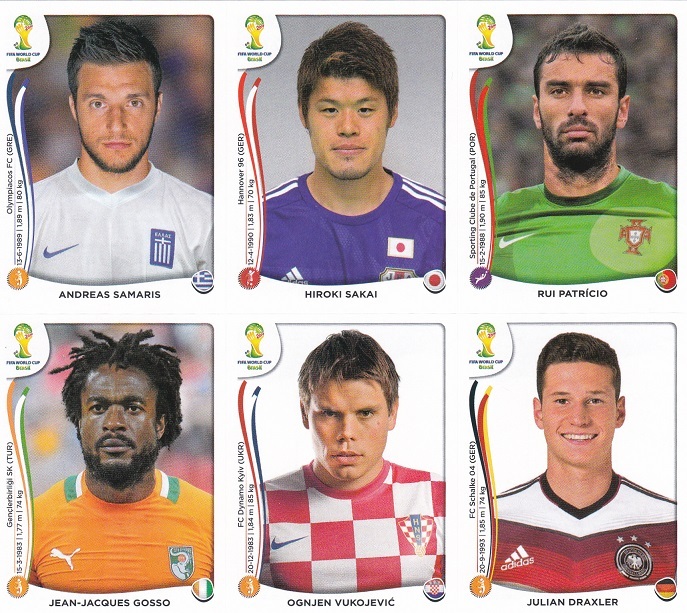 There have been some surprises, like Spain and Portugal out of the Round of 16. I was impressed by Nigeria and Mexico going into the Round of 16 and disappointed that Mexico didn’t make it to the Quarter Finals. and am delighted that Costa Rica is going into the Quarter finals. What an interesting match that was, against Greece. With all its controversial Referee decisions, and in the background, protestors angry about the amount of money spent on the World Cup at the expense of health and education in Brazil ( why not have BOTH the World Cup and Health / Education ), I have been enjoying the Soccer. 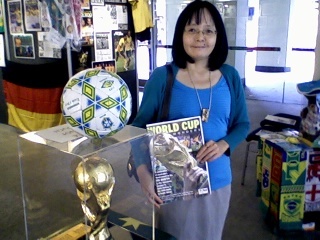 In 2010 we even had an interesting exhibition here in Perth, Western Australia, about the World Cup. Below is a photo of me taken with my Samsung mobile telephone at the exhibition. I have just signed up to win a prize in the FIFA members contests, by submitting my “dream team”. You may win a Sony Xperia Smartphone by having your dream team randomly chosen at the competition close, and it is fun making up your Dream Team. See mine below. There is another fantastic competition which FIFA members can go in, to win one of the Match competition balls – click HERE to view. I have an SBS Guide and package (worth $15 posted) which I will post out to anyone in Australia who replies to this Post saying they would like to have it, OR who sends me a message via my Contact page. Probably nobody will as not many Australians visit this Blog, and hardly anyone goes in any of my Blog Give-aways either. The Package consists of the Guide with the SBS television times, a Sticker Album with 6 stickers to get you started, and a HUGE beautiful Wall Chart to write in all of the Scores!! I gave the Soccer Guide and Album to a youngster at work, who was very pleased to be gifted them, so they are no longer available. 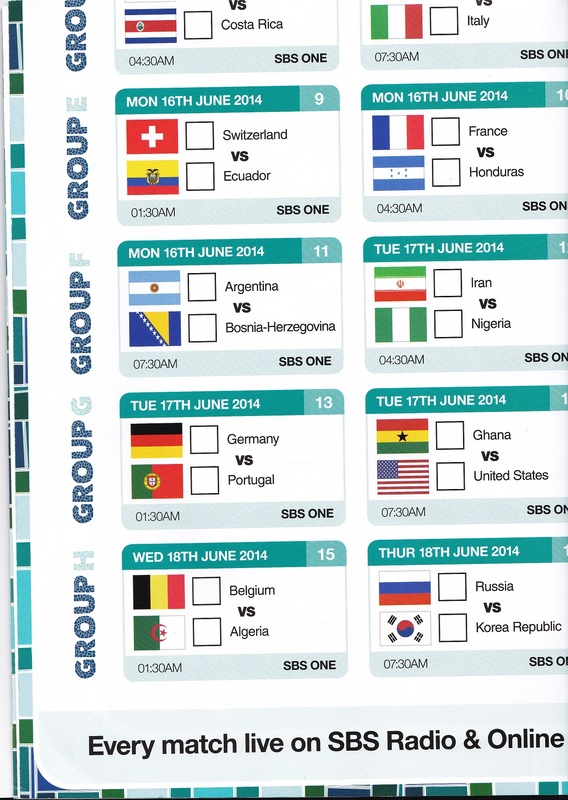 Last but not least is a close up of the magnificent Wall Chart that comes with the SBS Guide. 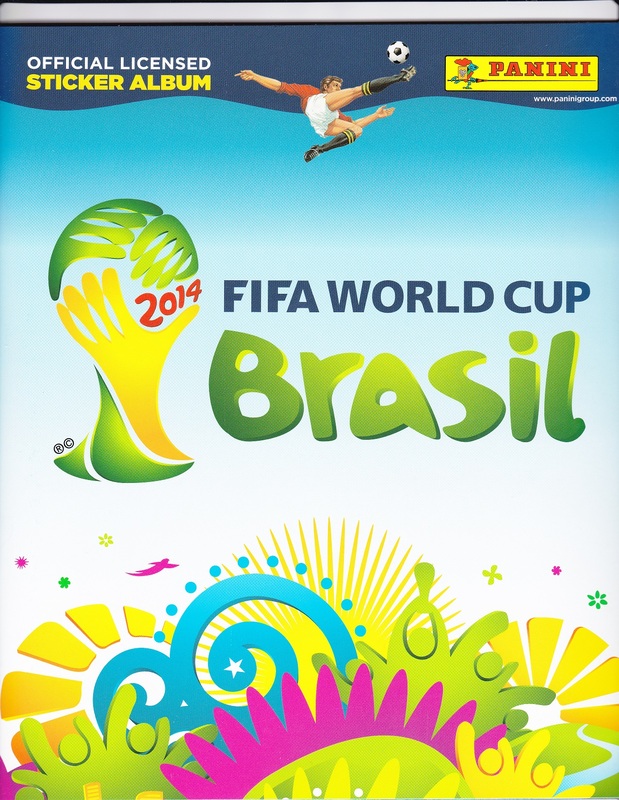 I got a much smaller Wall Chart (on a black background) with my Soccer International Guide, which I am using. 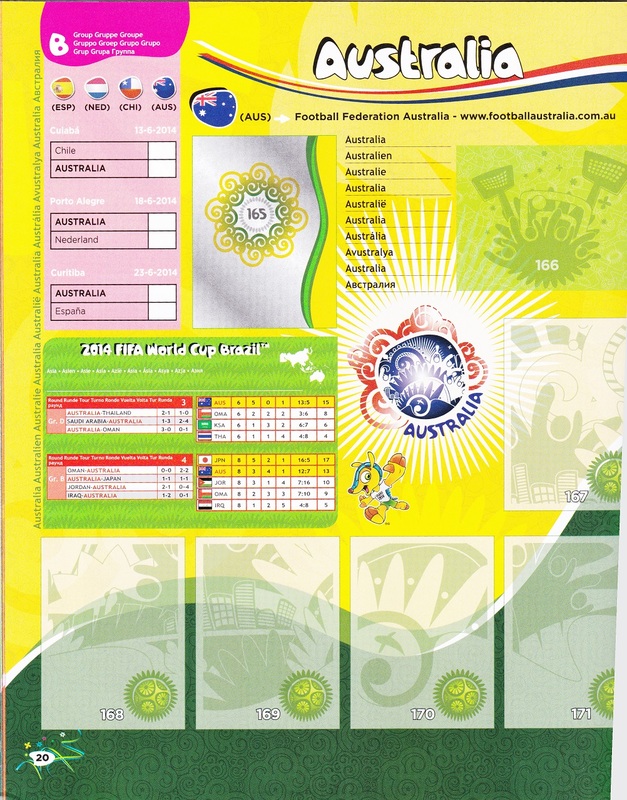 Categories: Personal, Recreation, Reviews, Sport, Traditions | Tags: fifa, panini sticker album, sbs guide to world cup, soccer competitions, soccer contests, world cup soccer | Permalink.